Ms. Ardanuy will begin her presentation by explaining the different varietals of cannabis and the Colorado Marijuana Laws including Amendment 20 - Medical Marijuana and Amendment 64 - Recreational (Retail) Marijuana. Guests will then learn about the various kinds of business and personal cannabis assets and the procedure for a bequest of these assets. Lastly, Ms. Ardanuy will discuss other impacts on the estate plan including a living will/appointment of health care surrogate, Medicaid and Medicare and communicating marijuana related matters with the appropriate people. Guests are welcome to attend for a $25.00 fee. Reservations are required no later than the Tuesday prior to the Thursday meeting. To RSVP and pay online, please click here and click the red guest payment button near the top of the page. The Women's Estate Planning Council ("WEPC") in the Denver area was created to promote interaction between women estate planning professionals educationally, professionally, and socially. A group of women from the financial service, accounting, and legal areas came together to form the first Women's Estate Planning Council in the Denver area. 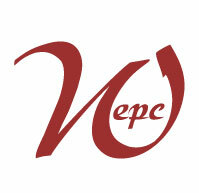 WEPC was founded in February, 1995 when the by-laws were approved and the first dues were collected. From a small group of a dozen women, membership has grown to over 90 professional women and men working in the estate planning field. WEPC has monthly meetings, welcoming both members and non-members. An educational program is presented at each meeting to help members meet their continuing education requirements. The meetings are a fun time for networking as well.